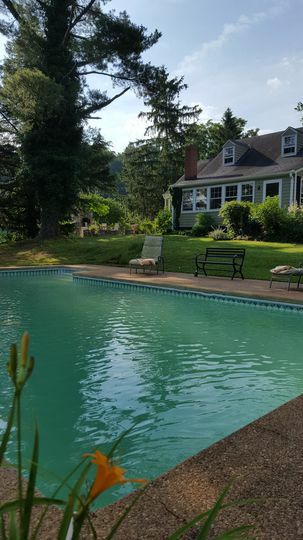 Located on 32 acres of rolling countryside with fabulous mountain views in Albemarle County, close to Charlottesville, Virginia., Spring Hill is a charming, historic, casual elegance and where memories are made.. 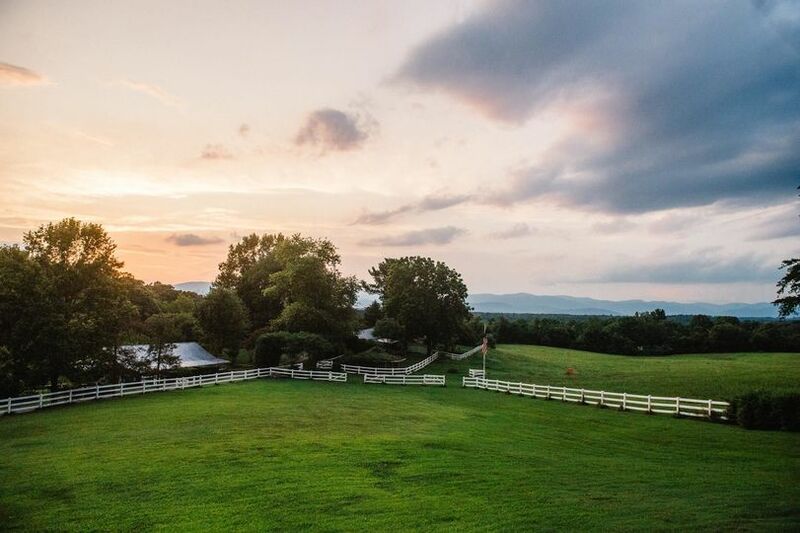 The pet-friendly event venue is an active farm - a sanctuary of privacy and elegance.conveniently located, yet private where couples and their guests can celebrate on the lawn or in the 4,500-square-foot Monte Vista Barn. 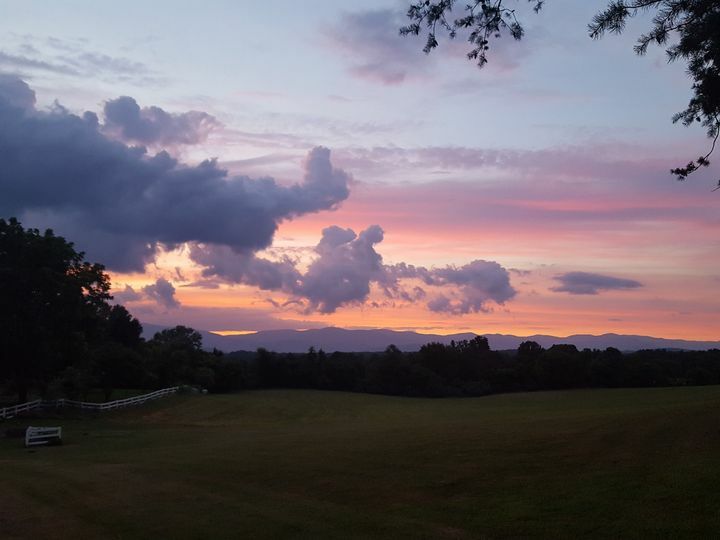 Spectacular views of the Blue Ridge Mountains, seasonal gardens, and large, shady trees make for perfect natural backgrounds for wedding photos and socializing areas. The thirty foot Trinity gate welcomes you upon your arrival. Our season runs from May through early October and rates are always the same. Please inquire directly. Spring Hill is all about you and making your memories of a lifetime. Service! 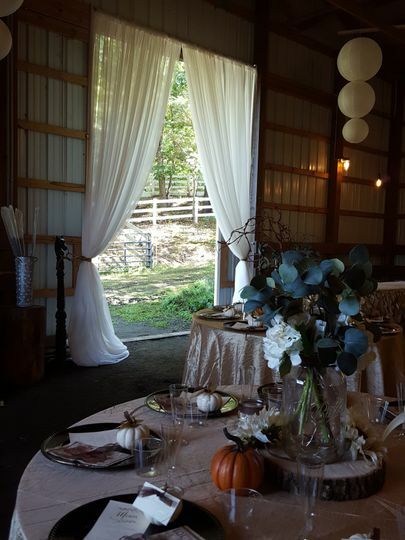 The open room of the Monte Vista Barn gives couples complete flexibility in arrangements for tables, chairs, a dance area, catering, and entertainment for up to 200 guests. 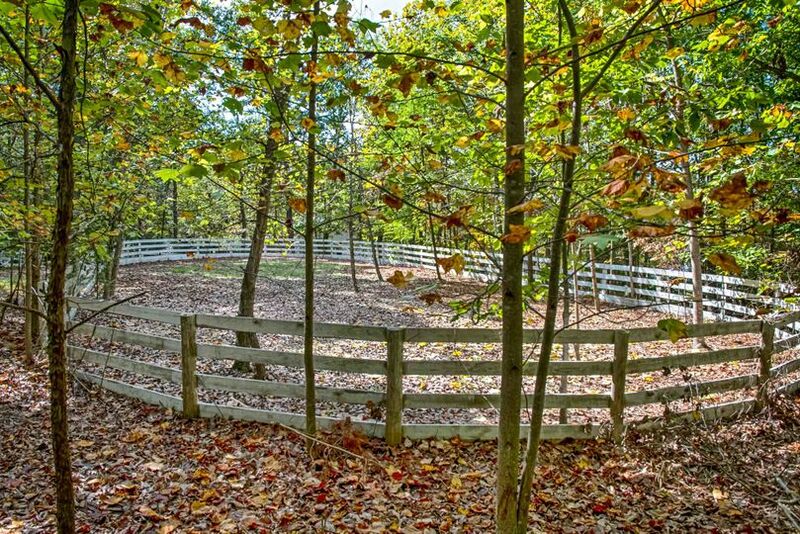 The Wedding Arena is a white, fence-framed area nestled among the trees, providing an elegant locations to exchange vows. 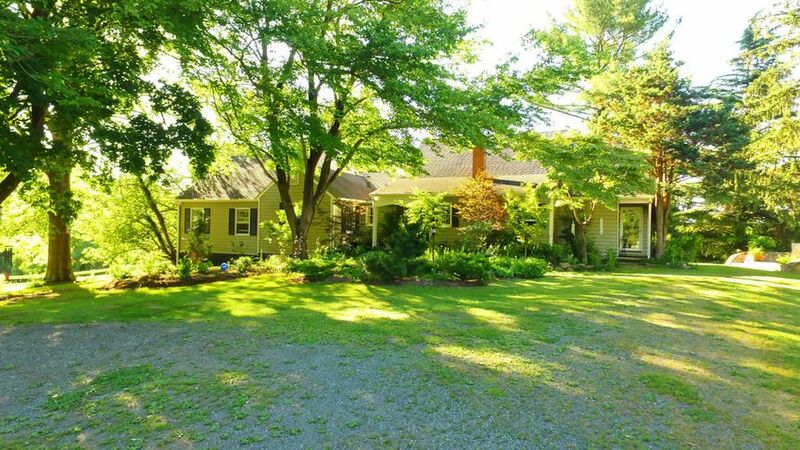 Couples may also rent the Kismet Cottage on the property, which sleeps up to six people. 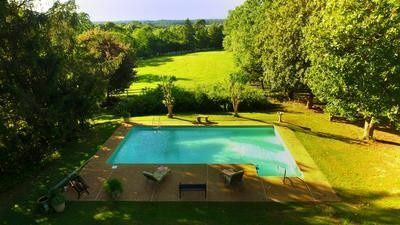 When couples book this venue for the weekend, they are essentially renting the entire farm, allowing them full access to the grounds, Kismet Cottage, the barn, the outdoor wedding area, and parking space. 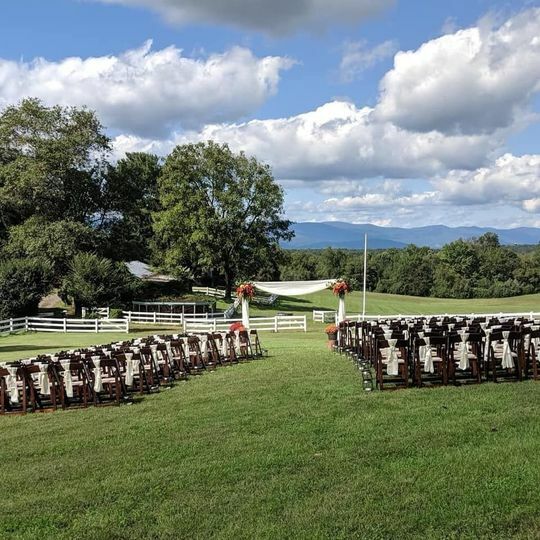 However, if couples wish to rent the facilities for only one day for their wedding ceremony, reception, bridal shower, engagement party, or rehearsal dinner, Spring Hill offers that option, as well. The property is set up for easy navigation and traffic flow, with a separate gated entrance for vendors, as well as parking, valet, and wheelchair access. Spring Hill allows couples to choose from a list of prefered vendors for catering, floral, photography, and other wedding necessities. 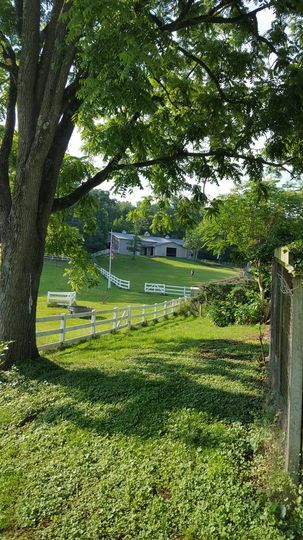 Also on the venue site is The Garden Barn, a boutique plant nursery run by Spring Hill’s owners. This floral business can assist couples in planning and providing floral needs as well as general events planning for the wedding. Historic sharecropper house "kismet cottage"